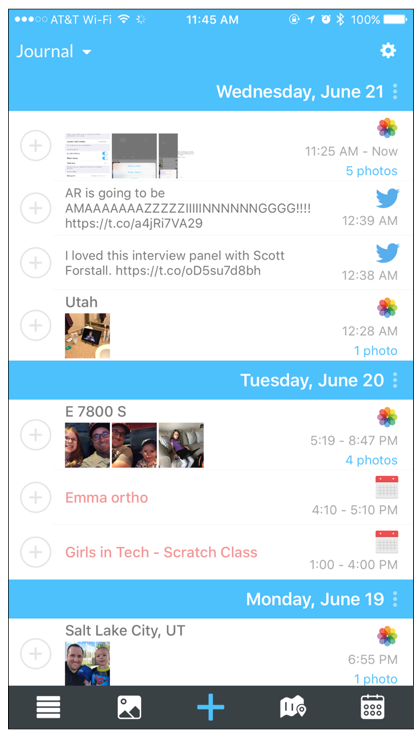 The Day One Activity Feed makes it easy to journal about your daily activities and past events. Activity Feed is currently only available on iOS. 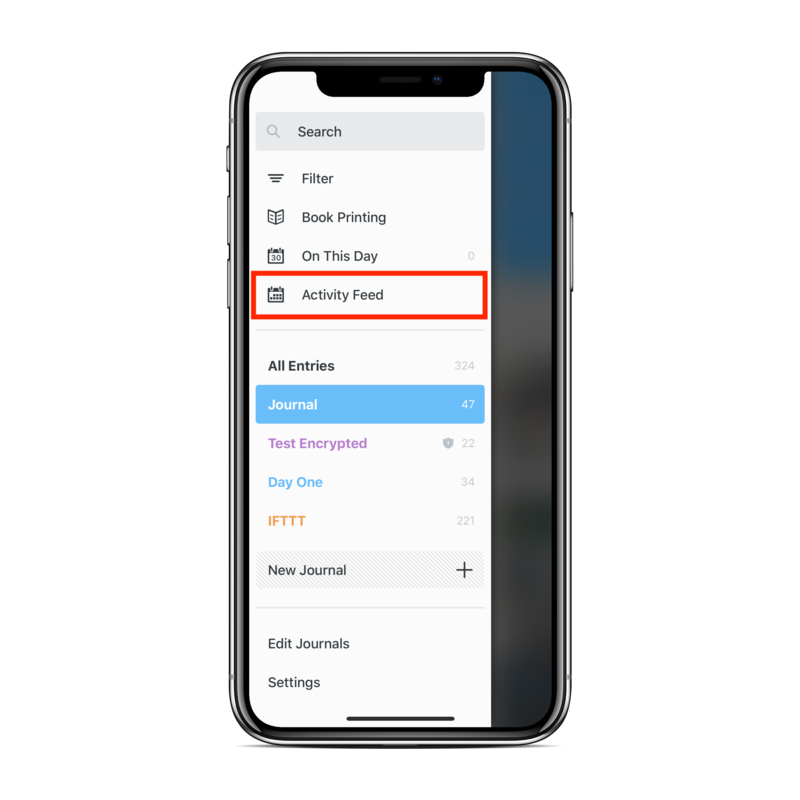 Swipe from the left to open the Journal Drawer and tap Activity Feed. Or tap the + icon at the bottom of the Timeline. 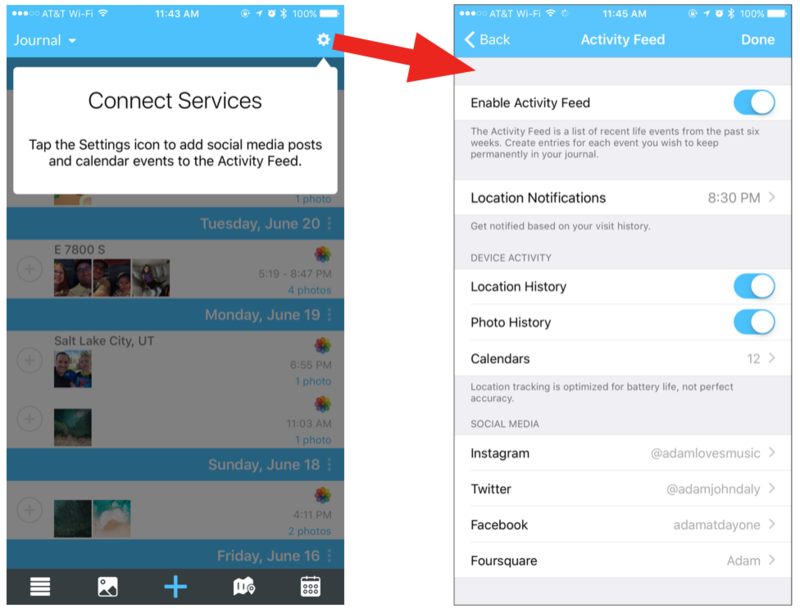 When opening the Activity Feed for the first time, you will see a prompt to connect various services including Photos, Calendars, Social Media, etc. Please note: Twitter and Facebook are not available to connect when using iOS 12 at this time. 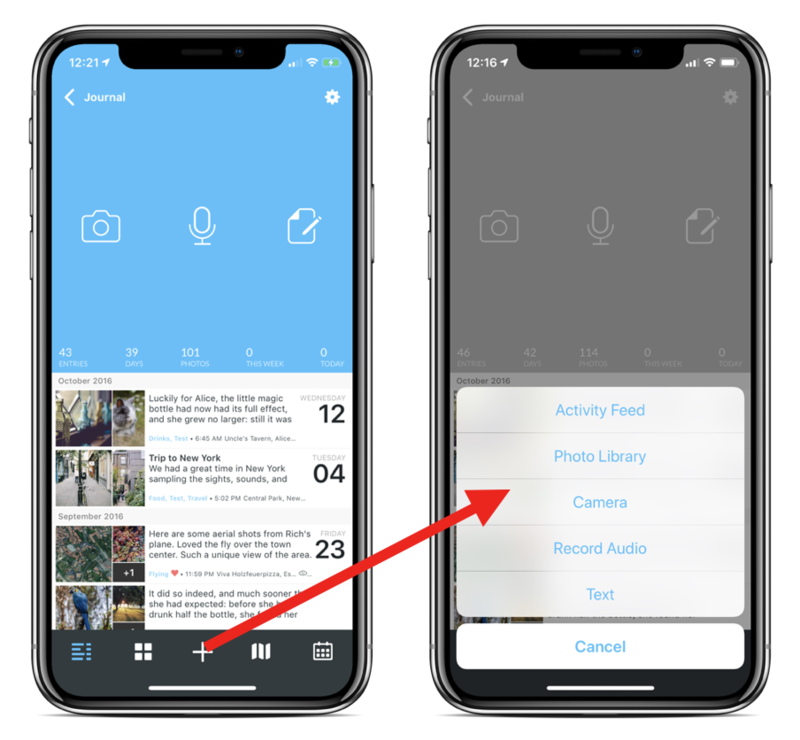 Now that you have connected the desired services, you can use Activity Feed to quickly add photos, social media posts, or calendar events as entries. Tap on any item in the list to begin a new entry.